is ‘Little Bear’. Little Bear is a well traveled Westsail 32. I am the fourth owner of this fine little ship and hope to spend many enjoyable hours out on the water with this venerable lady of the sea. Hi- great vlogs! You mentioned in one of your videos that you had created a project plan for the work on Little Bear, and that you might make that available for folks doing the same kind of work. 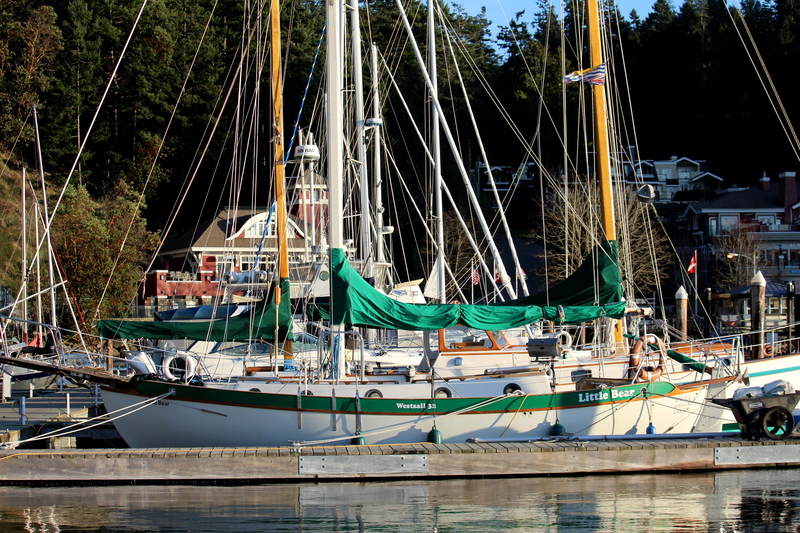 I am bringing my Westsail, #414, home for a planned year long refit and will be doing a lot of the same work you have. I’d love to see the plan you put together and I think it might help as I get my work plan organized. Do you have it posted anywhere? Thanks! Where are you located? What’s your WS’s name? Do you have a blog? Thanks! I am in Beaufort, NC- The boat is “Eiggan”. I don’t have a blog as of yet- I am thinking about creating one, but time is short with two small kids, a full time job, and all the boat work. The intent is to get the boat safe, dry and comfortable and hopefully do some cruising while the kids are little- They are currently 1 and 4 and we are shooting for being able to take off for a season in the next 3-5 years. Maybe the Bahamas or Cuba, or Mexico/Belize, but maybe a summer in Maine- still to be determined. Keep up the good work!